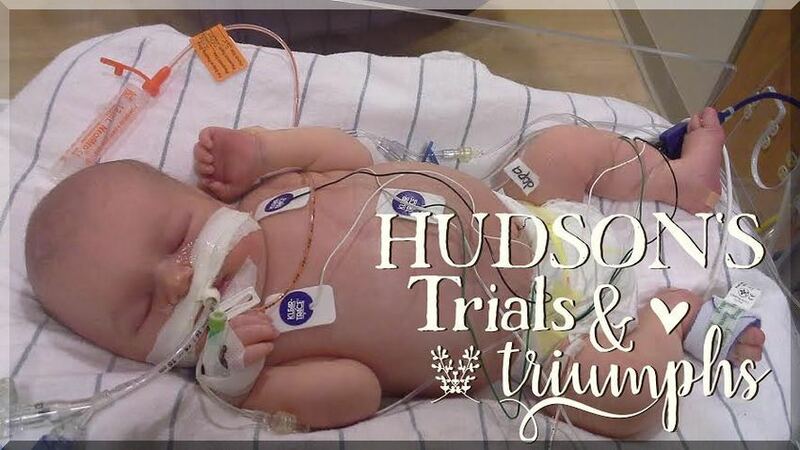 Hudson's Trials and Triumphs : Hudson Opened His Eyes! We had such a good day today with Hudson. As soon as we got to the hospital Mommy got to hold him right away and held him for almost 2 hours. The two of us listened to Keith and Kristyn Getty music, sang songs, read Dr. Suess books, and just hung out. Of course he slept the whole time. After mommy was done holding him and he was put back in his bed, we giggled and took videos of Hudson because we were trying to get him to open his eyes and he just wouldn't. But his feet must be VERY ticklish because if I tickled his toes he would lift his two scrawny little legs straight up in the air! It was too funny and he did that like 3 times! After grabbing lunch, Hudson also got to be held by daddy for about an hour. Daddy and Hudson listened to hymns and of course he slept the whole time, too. After the nurses moved Hudson back into his bed Hudson really opened his eyes. I mean really because we've seen him do an eye peek here or there and a couple times both eyes for maybe 5 seconds but TODAY he opened them for like 5 minutes! It was so exciting because we've never seen him open them that long. It was also really encouraging because he could track his eyes and turn his head to follow Bryan's voice as he moved from one side of the bed to the other. The past few days I had been trying to figure out if he could hear us or not. Hudson always responds to touch but he is always so sleepy we couldn't tell if he could hear us. It was so cute to see him with his eyes open and take video and pictures of him to show the girls. First Picture with Eyes Open! The pictures and videos are kind of dark though because we had to keep the light dim. 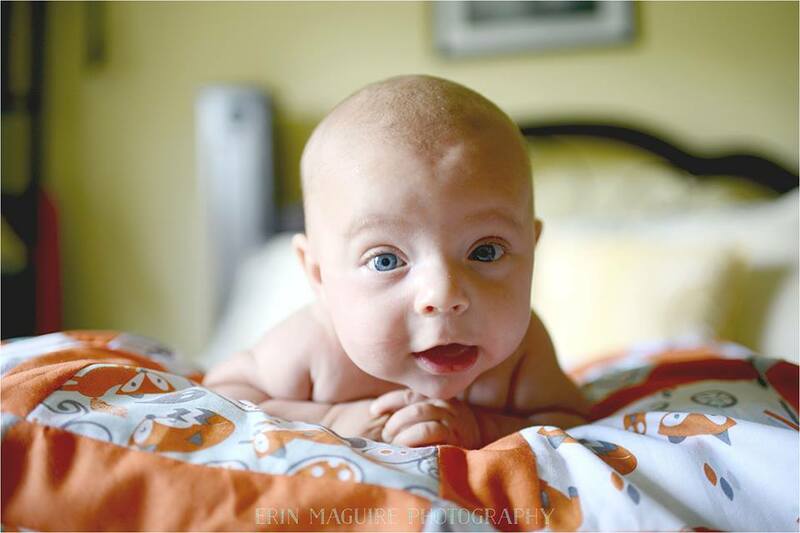 We decided Hudson looks mostly like Alivia's baby pictures and that he is one pretty cute baby. After that adorable eye show we were able to come home and show the girls the videos we took and of course they agreed he was pretty cute. We heard from the doctors that Hudson was not leaking any more today from his catheter site. Praise the Lord! But they would like that area to heal more and decided to take a break from dialysis today as well. They may resume it tomorrow. 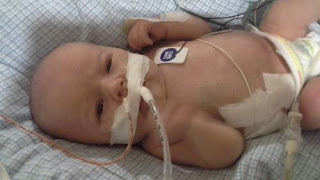 Also, Hudson has been doing really well breathing so there is talk to get that breathing tube of his removed and for him to go on a Cpap instead. That will be super exciting as we can't wait to see more of his face! We are so proud of our sweet boy and how far he's come. We rejoice in every little milestone we see him do. I will give thanks to you, O Lord, I will sing praises to you among the nations. For your steadfast love is great to the heavens, your faithfulness to the clouds! Mercies Are New Every Morning!